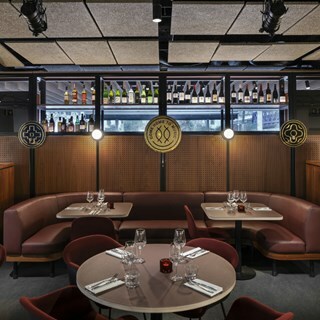 Spiritland Royal Festival Hall brings an early-morning to late-night celebration of food, drink and music culture to Europe's largest arts centre with a 2:00am licence for extended aftershow drinking and dining. We offer a breakfast, lunch and dinner menu, as well as brunch at weekends. 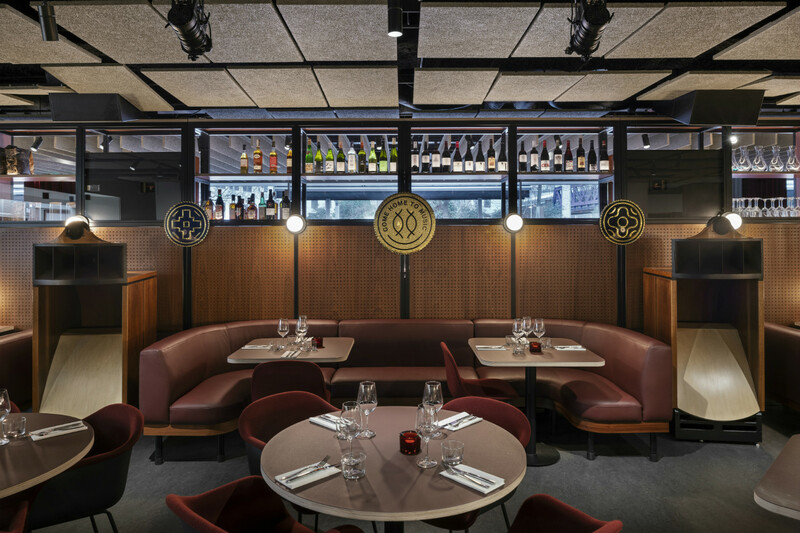 The new space offers deeper culinary discovery by way of newly-appointed Group Head Chef Moondog (The Providores and Tapa Room) overseeing an open grill and oyster bar. Our New Zealand-born chef brings his intrepid antipodean nature and flavour-forward style to a fresh and inspired menu of sharing plates and unapologetic twists on classic favourites. There's coffee, juices and freshly baked goods for takeaway during the day, and if you're just after a pre- or post-show drink we also offer an extensive cocktail menu and 110-strong wine list. Spiritland Royal Festival Hall runs a programme of music-led talks with cultural icons, the questions typically asked by arts broadcaster John Wilson (best known as the host of BBC Radio 4's Front Row). 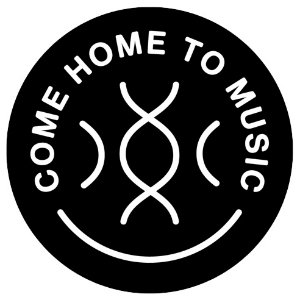 What's more, music lovers play the cream of their collections from Thursday through Saturday nights, with residencies from some of London's most discerning musical creatives. Great place but service is lax. It wasn’t busy and we waited on numerous occasions for a waiter. If you want the place to be a success you guys need to get on it and fast. In terms of its focus of great music there’s no other place like it in London. The service, food and drinks are fantastic too. We had the lamb with samphire chimichurri, which was delicious. Music was very loud when we were trying to chat but we asked for it to be turned down a little and it was. Food was amazing!!! Disappointing and expensive evening. Spiritland is not AT the RFH as advertised. It can only be accessed from outside, via the steps. (As the lift is not working). So it is at the BACK of the RFH. No good if you have mobility issues, a stick, buggy, bags or it is cold, raining, windy etc. Service quite friendly and reasonably efficient - they have to start by apologising to everyone who arrives after looking for the venue for the last 20 minutes. The menu is small and strange - the chef goes in for lots of paste on unknown vegetables. (The clue is in the advert - 'intrepid and flavour forward.') The lamb was good, but for the one third of the population who are flexitarian it is better to go elsewhere. The wine list was true South Bank rip off - eye watering prices for very little choice. Campari came with no ice or orange. We skipped the coffee, paid the hefty bill of almost £110 for 2 starters, one main, 3 glasses of wine, 2 cocktails and campari and left, vowing never to return. Regular here, lovely environment, good service and delicious food and drinks. Very enjoyable meal. We will return. Excellent cocktails & coffee. Lovely (Brazilian?) waitress looked after us very well. Tagliatelle slightly bland. Room was empty when we arrived for lunch at 1.15, but did liven up. Tunes / volume level impeccable. Will return! A great addition to the Southbank. The menu  is limited but the quality was excellent. If I had looked at the menu before booking I probably would not have booked. This would have been a mistake - I think the layout and information on the menu needs expansion describing the ingredients,  method of preparation and presentation. It might be wise to consider a colourful decorative design rather than a plain white card. Lovely brunch, good value, nice setting and glorious Library tunes being spun by Jonny Trunk & Martin Green. I made the trip up from Folkestone and it was well worth it. Great ambience for a date or dinner with friends. Food was delish! We enjoyed the relaxed atmosphere and excellent service, prior to a concert at the QEH. The main course menu choice is quite limited, but the quality is good - we had the pork ribeye and the tarragon chimichurri sauce. Great venue, delicious food, friendly staff. We’ll be back. The food menu was really limited & disappointing to me. It’s heavy on meat but not much else. The venue is gorgeous though & the ambiance was on point. Music was good too, but better once the DJ started. it would be great spot for late, late nights & drinks, but eat dinner elsewhere. Good simple menu. Delicious food although my fish came whole and I expected (and would have preferred) a fillet. More expensive than Canteen - its previous restaurant. Fantastic service as they didn't interrupt us unnecessarily. Food and drink were very fairly imaginative and tasty, and the decor and atmosphere were cool and unusual, with mostly pleasant music, if fairly loud for conversation. The staff was amiable but service was at times slow and could have been more attentive throughout; staff seemed busy and preoccupied even though the place was far from full when we visited. Not especially cheap: bill was approx £66 for a couple of drinks and one modest-sized dish each plus side order of bread and sparkling water, followed by coffee that took a long time to come. I'd be prepared to give it one more try. Excellent food, very comfortable surroundings/seating but the music was too loud. We couldn't chat and the whole point of eating together is to enjoy good food and chat. Chatting was impossible last night. A hidden gem in the centre of London! Really enjoyable Saturday brunch. Interesting and delicious menu choices. Friendly cheerful staff. Thoroughly enjoyed the dj’s choice of music - it was so much more special having a selector and of course the  excellent sound system. It’s our new favourite brunch spot! Evening wasn’t very busy but could have had more attention to ask for drinks and ordering food. Felt a little long in between these moments. Otherwise great. 3rd time there and still loving it. It’s my fave place to go with friends and work guests.